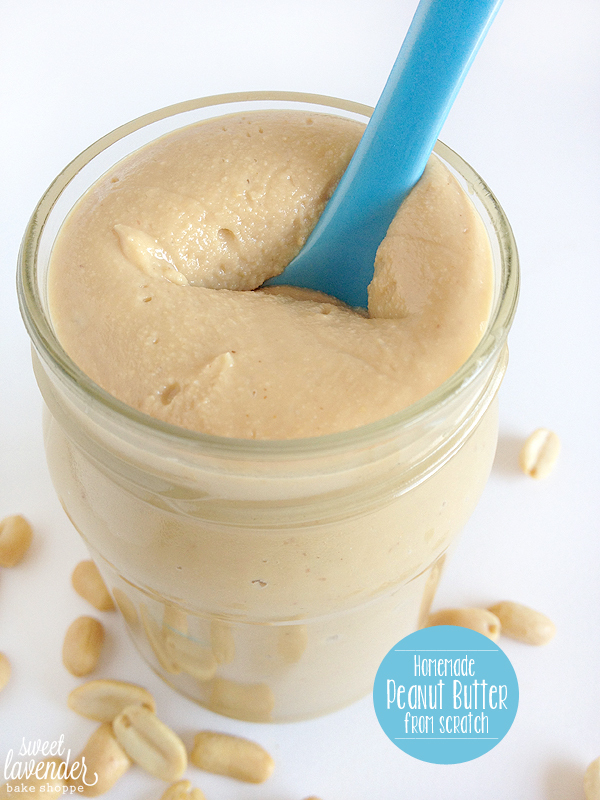 I've been a fan of homemade peanut butter for some time now. I actually prefer it over store bought! But honestly, I'm ashamed to say, I haven't been making my own for a long time. Ugh! Whyyyyyy? Why Christina?!?!?!? No clue! I used to! I used to like, ALL.THE.TIME. I'm pretty sure it has something to do with laziness. Because in reality- all things I should do, don't happen because of my extreme love for laziness. I think it's about time I change this nonsense and bring back the homemade PB stat! You guys! Laziness shouldn't even be a factor when homemade peanut butter is involved. I mean this stuff IS SO SIMPLE TO MAKE! You could make your own batch of yummy, amazingly nutty, peanut buttery goodness, faster than I could tell you a super lame knock-knock joke. And believe me, I have some to tell! Like the one about the interrupting cow? When I was a Sophomore in college (and no, not culinary school- actual "college") I had a speech class (which I loathed, but only because I'd rather pluck all my eyebrows off slowly and painfully than stand in front of a massive amount of people and talk). One of our assignments was to do an instructional speech- a "How To", if you will. 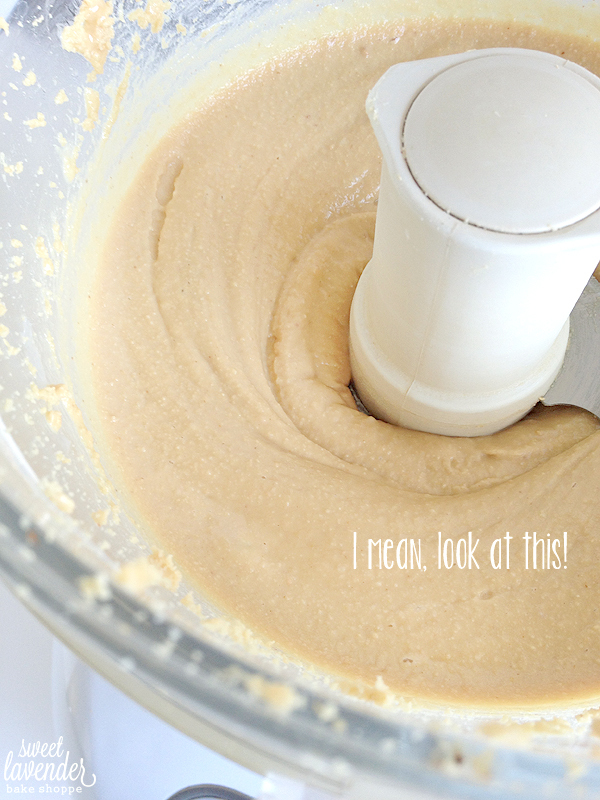 I chose to instruct and actually make homemade peanut butter! For the whole class! Hahaha, oh my. And I did! I brought my little teeny Cusinart food processor, a bag of peanuts, spoons and my speech to class- and actually stood up in front of everyone (all 40 of them!!!) and "presented" just how easy it was to make their very own lunch food staple. I was so impressed with myself. Smooth, creamy, luxurious, and super fast to make- you might slap yourself for not doing this from the get-go. Plus...come on....it's UNPROCESSED! Yeah yeah, those grocery stores sell "natural peanut butter" and I know, some actually sell their own freshly made! I don't know about you but I don't always trust what those labels say- and honestly some of that stuff can be really pricey! So go buy a bag of peanuts, get your kids in the kitchen (or shoot, just you and your spoon) and make this like yesterday. 1. 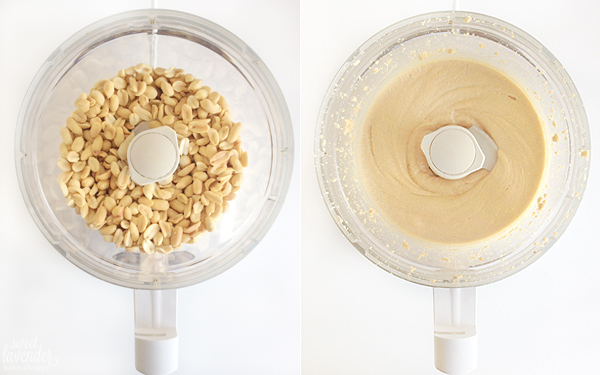 In a food processor add your peanuts. Process until peanuts start to form into a ball (almost like a ball of dough)- about 1 1/2 minutes. Stop and scrape down bowl. Process for another minute, until it liquifies. It's so neat- you'll see your ball slowly turn into creamy, delicious peanut butter! 2. Next, add your melted and cooled coconut oil, salt, and honey (if using). Process another few second until everything is combined. Like stated earlier, some vegans consider honey to be "un-vegan", so you can definitely leave it out, and replace with a sweetener of your choice. The amount of honey being added is not for sweetness, but rather to balance and marry all the flavors together (as does the amount of salt). 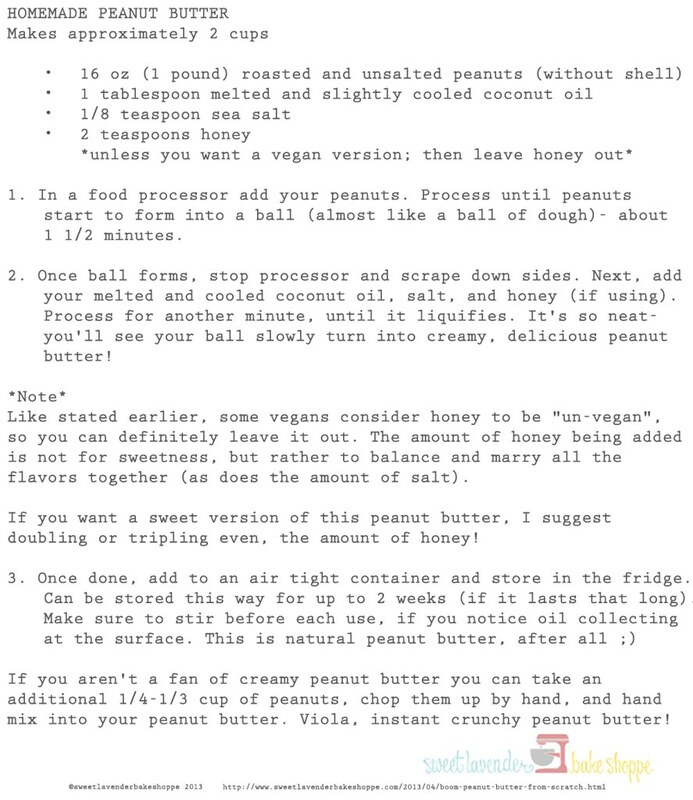 If you want a sweet version of this peanut butter, I suggest doubling or tripling even, the amount of honey! 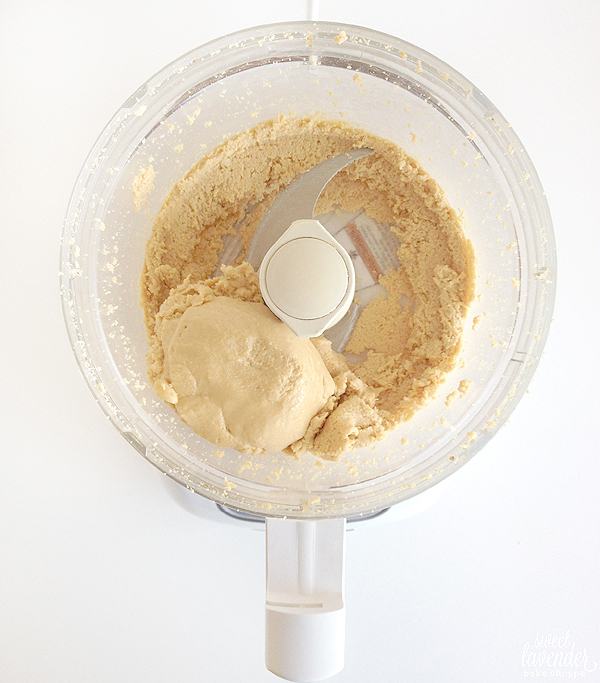 If you aren't a fan of creamy peanut butter you can take an additional 1/4-1/3 cup of peanuts, chop them up by hand, and hand mix into your peanut butter. 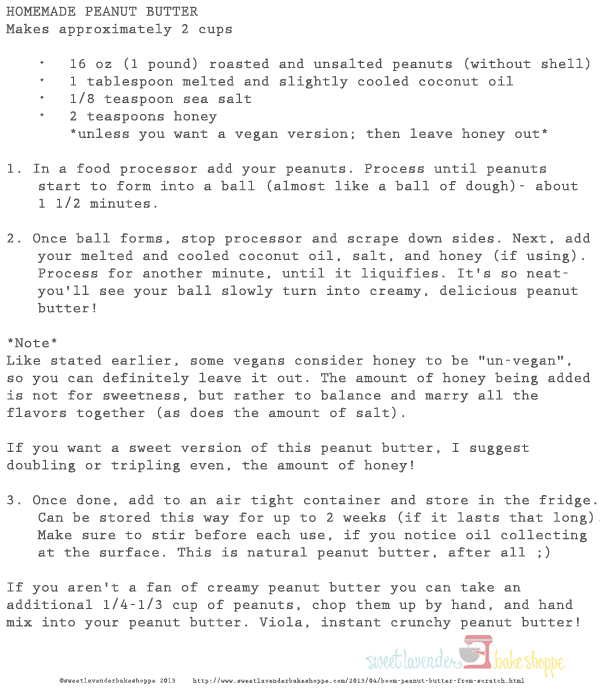 Viola, instant crunchy peanut butter! i need to make this!! it looks amazing and you know what's in it. we always eat the natural kind from smuckers but i bet this is even better! 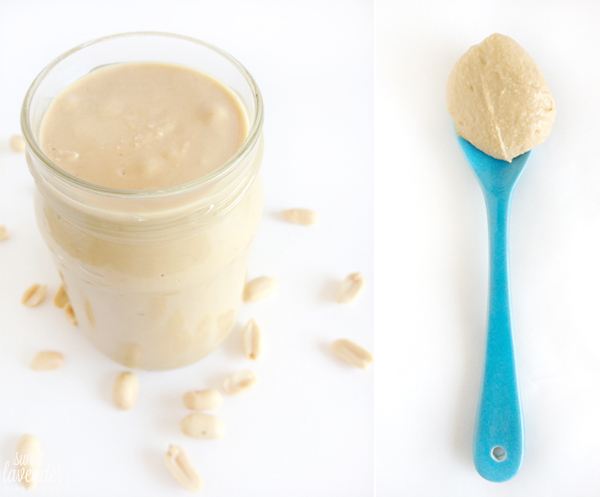 My hubby luvs Almond Butter...can u use the same process for homemade? Thx! Yes you can! Although the ingredients are a tad different. But you can most definitely play around until you find what works for you. Great minds think alike though- I just made a successful batch of Almond Butter and will have the recipe up super soon! So stay tuned! Why have I never thought to do this?! So so simple and definitely better than any store bought for sure. Thanks for the recipe, can't wait to try it! Yum! this looks amazing... I need a food processer so I can give this a go. Do you have to sanitize the jars before putting peanut butter in? Like you would for canning foods? Or can you skip the thorough sanitizing steps? I do this with trader joe's honey roasted peanuts. one bag, one food processor, 7-10 minutes. boom done. it's awesome. Yum! That's a good one!! !